Go! Go! 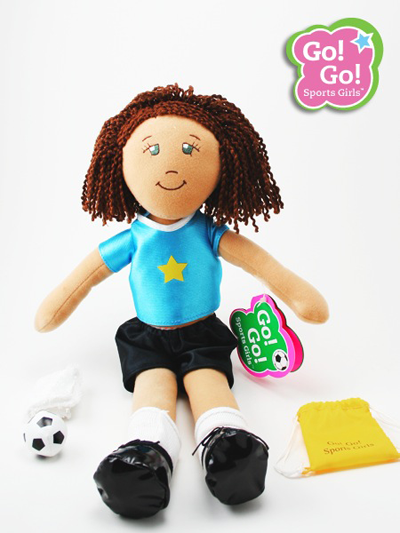 Sports Girls are a collection of plush, sports-themed dolls for girls ages 3-12. They are designed to be a fun and educational way to promote self-appreciation and the benefits of daily exercise, proper eating and sleeping habits, self-esteem and overall healthy life-skills for girls. Go! Go! Sports Girls are age and size appropriate. They do not encourage an older or overly mature image. The image is innocent with a subtle yet strong message - appreciate and be true to yourself. The dolls are made from high quality cloth which is safe and durable. 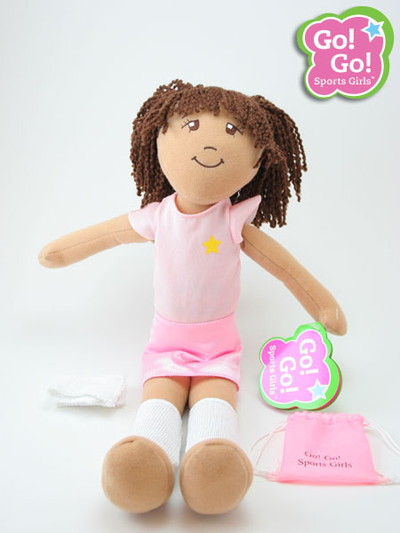 Each doll is dressed in different sports attire and includes a gym bag and appropriate sports equipment. An inspirationa/secret "tummy message" is embroidered on each doll's abdomen, such as "Dream Big Score Goals" for soccer girl. Expert reviews of the product have been glowing. What The Stuff Toy Review gave the dolls five stars and the highly respected Oppenheim Toy Portfolio gave it their Gold Star Best Toy Award for 2009. The child reviewers bonded immediately with the dolls and the adult reviewers loved the positive messages and active lifestyle role modeling. Dream Big Toy Company donates a portion of profits from the sale of Go! Go! Sports Girls to Girls Inc., a national nonprofit dedicated to inspiring all girls to be strong, smart, and bold.